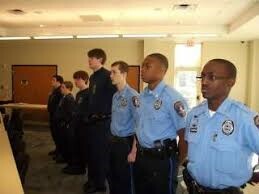 The Charleston Police Department Explorer Post 11 is a hands-on program open to individuals between the ages of 14 and 21 years of age who are interested in a career in law enforcement or other related fields. Our Explorers conduct training in law enforcement agencies, participate in ride-a-longs, take part in community events, and more. Explorer Post 11 promotes personal growth through character development, physical fitness, good citizenship, service to others, and patriotism. 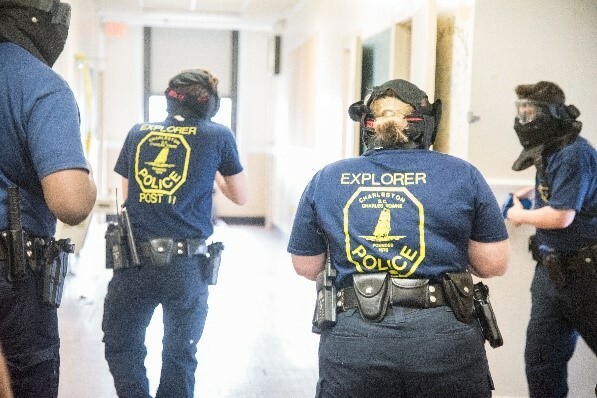 These skills follow our Explorers through life, whether they choose a career in Law Enforcement or not. 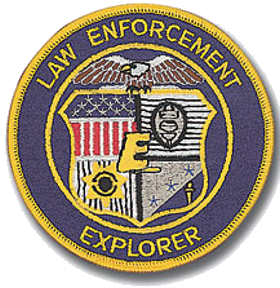 Explorer Post 11 meets on Mondays from 6 pm - 8 pm at the Charleston Police Department, located at 180 Lockwood Blvd, Charleston, SC 29403. We also train at various other locations and dates and with other police departments. 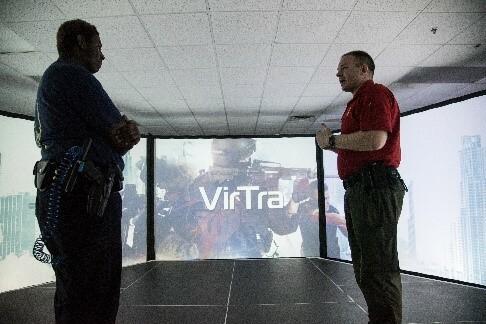 We train on various topics, such as ethics, legals, drill, patrol tactics, traffic stops, active shooter, drug search warrants, crime scene, forensics, marine patrol, crisis negotiations, bomb response, K-9 tactics, SWAT, and many other topics. Our Explorers participate in ride-a-longs with our advisers, who come from various parts of our Police Department such as School Resource, Patrol, Traffic, Harbor Patrol, and more. These ride-a-longs allow our Explorers to see first-hand what our Police Officers do to serve our community. Our Explorers have been instrumental in assisting with special events, investigations, and helping citizens. The Charleston Police Department strives to serve our community in every way possible. The Explorer Post is one example of this goal. Explorer Post 11 participates in numerous community events, ranging from local Crime Prevention booths to the Cooper River Bridge Run. This service to the community helps promote well-rounded youth, helps our community, assists with college eligibility, and more. 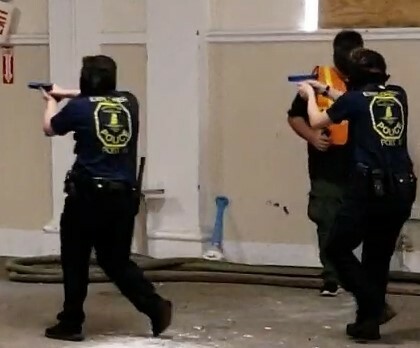 The South Carolina Association of Law Enforcement Explorers (SCALE) hosts a winter and summer competition every year. Various agencies throughout the state host each competition. These competitions include individual events such as mental and physical agility tests and team events involving various dispatched calls for service. 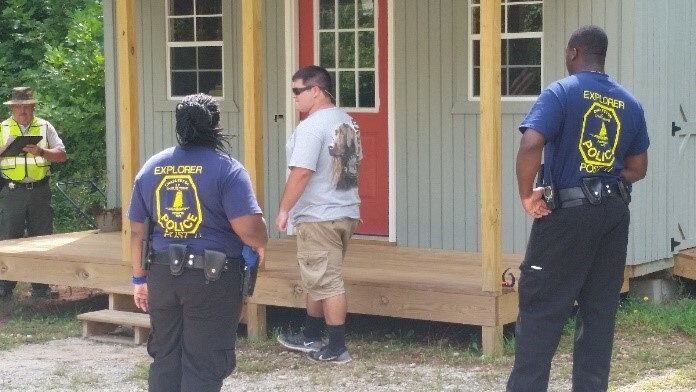 Explorer Post 11 has a long history of success in these competitions, and just recently took home a trophy at the 2019 Winter Conference hosted by the Charleston County Sheriff’s Office! Explorer Post 11 has a long history of success from its former Explorers. Our post has helped produce numerous Law Enforcement Officers, Military Service-members, First Responders, Dispatchers, college graduates, and even a recent West Point nomination. We have even had a former Explorer become a Chief of Police! Our Police Explorer Post 11, comprised of youth from local high schools and colleges, serves as another bridge between our department and our community, especially our youth. Furthermore, Post 11 is a great tool for recruiting. Young adults, 14-20 years old, who are mature, motivated, and willing to learn about Law Enforcement. In addition, Explorers must be good students, non-users of drugs, tobacco, or alcohol, and must not have an arrest record.